King of Worms, the new single by Seattle based Deer Venom (the post punk solo project of Mario Barbetta) is a collaboration with another Seattle songwriter Joel Paton. By the sounds they have crafted together, deep haunting vocals riding on a spartan beat, acoustic guitars and electric sonic ambience (by way of synths or guitars) it is a clear and present sign that these two passionate writers should collab again and again. It feels like a kind of Neil Young-ian affair pushed through a kind of goth / grunge folk filters. Deer Venom is the name of a Seattle-based post-punk solo project by Mario Barbetta. Deer Venom is dark, poppy stoner-punk, with some darker new-wave elements and occasional sparkly glam edge. 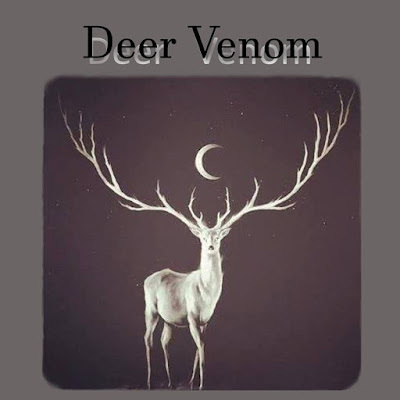 Deer Venom was founded by multi-instrumentalist Mario Barbetta in his basement in 2010. From Fall of 2013 through Spring of 2017 Deer Venom was a 3 piece. The band played a number of shows in the Seattle area (see show review -http://www.liveeyetv.org/2017/01/listen-deer-venom-not-today/ In the Summer of 2017 Mario recorded the first official Deer Venom release with hired gun drummer Mike Stone - a 4-song self-titled ep which came out Jan 26, 2018.